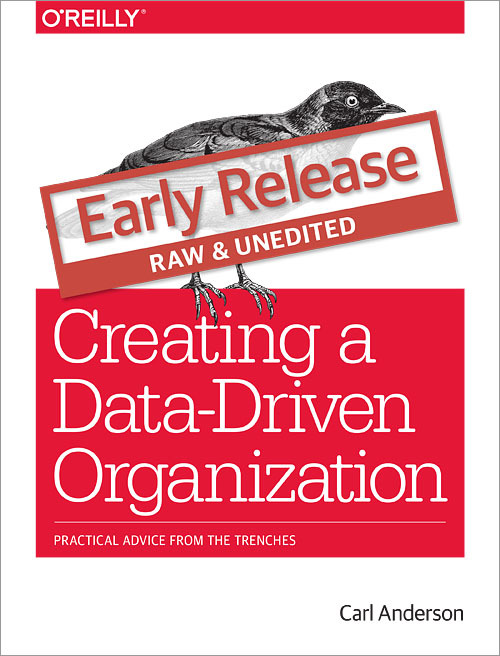 My book Creating a Data-Driven Organization is now available for purchase as part of O'Reilly's early release program. That means you can get access to chapters as they are released before the print date in July 2015. Another advantage is that you have the chance to input and shape the book. I would love and appreciate your feedback and comments as I have another month or so to incorporate major changes. If you have anything that you would like to add or say, feel free to add comments via the add errata link.